So, you want to be in charge of your own website? We can help you do-it-yourselfers with that. Our Online for $99 just may be the best deal for you! What does Online for $99 mean? It simply means that for a one time fee of $99, we will set up your WordPress site on our servers with a simple, manageable, user friendly template. Within this template, we will customize a banner for you with your logo (provided by you of course). WordPress is the world's most popular content management system. It's an online, open source website creation tool written in PHP, but created in a way that is user friendly (for those of you who don't operate in code). The Online for $99 WordPress site is a full featured site capable of expanding, even for large businesses. WordPress has thousands of templates available. With the online for $99, we will set you up with a simple theme, but you will have access to many other themes if you choose to experiment*. What does the Installation include? Is there a contract involved? No contracts involved. As with our other services, you pay on a month to month basis. We want you to do business with us because you WANT to do business with us, not because you are tied in with a contract. Is there any online help or training tools? Great question, and funny you should ask. We do have instructions and tips at http://charlesworks.tk/wordpress_tutorial.asp and some links to help on the right side of this page. Where/Who do I go to for help if I can't figure it out through the instructions? You may fend for yourself out on the web, or you may still contact us for web work. We are available to do maintenance, repairs, additions (sounds like we are in the construction business), at our usual low service rate of $85.00/hr, billable by the minute, meaning if we do 17 minutes of work, we bill you for 17 minutes). So, if you find that web work really isn't your cup of tea, or you run into issues, we are still here and available to assist you. What other costs are associated with having a WordPress site with CharlesWorks? The cost for most domain names are $15/year*. If you don't yet have a domain name, you will need to register one, which you may do right here. Simply go to the link below to safely search for the availability of your domain name, then register and pay right there online. Your domain will automatically be set to point to CharlesWorks servers. We will receive notification of your registration and will be able to proceed with the set up of your website. Costs for hosting is $19.99/month. A web host is a company that provides you with server space for your web site, including all of the files associated with your site. When your web address is typed in a browser, the web host serves up the files pages. Things to consider when choosing a webhost can be found at http://charlesworks.net/hosting.asp. Ready to get started? 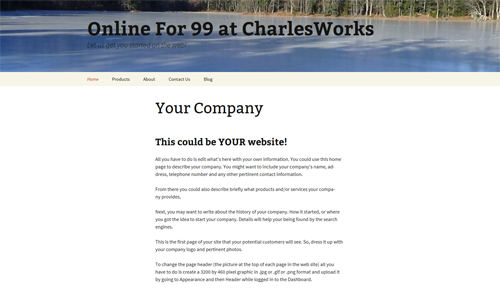 Call us at 603-924-9867 or email us at Just99@CharlesWorks.com! Domain Names - Most of the common top level domains (like .com and .net and so on) are about $15/year. Some foreign domain names, such as .ws, .st, and the hundreds of others available vary. Prices will be displayed at http://www.charlesworks.domains on the order screen prior to ordering. Hosting - Most hosting is $19.99 per month. Please understand that should your site become extremely popular (and therefore very successful) the website may receive an enormous amount of traffic, or use more than the designated amount of server space. At that point we're certain you will be pleased to discuss an adjustment of the hosting fee accordingly. Email accounts - The monthly hosting fee includes up to five email accounts. The hosting fee will be adjusted accordingly for additional email accounts over the five. There is no additional charge (over the $99.00 site setup fee) if we set up your email accounts during the original setup. There is a small one time fee of $10.00 each for us to set up additional email accounts if you have us do it at a later time. 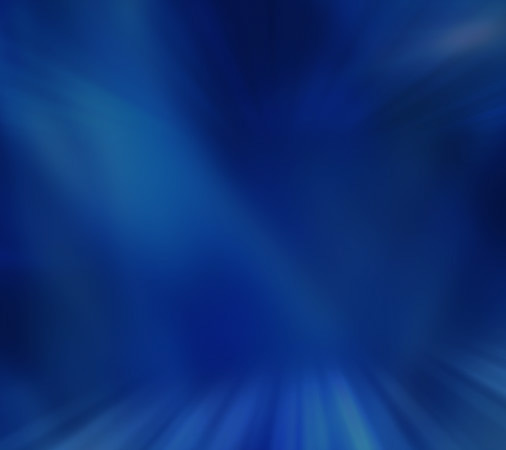 It's Thursday, April 18, 2019 at 11:28 pm in Peterborough, New Hampshire, USA. There are 129 guests browsing here with you!